Yes, there are risks. But don’t let them put you off moving forward with the implementation of a new ERP, because when you have the right systems in place, your business is much better placed for growth and success. All the risks can be managed. 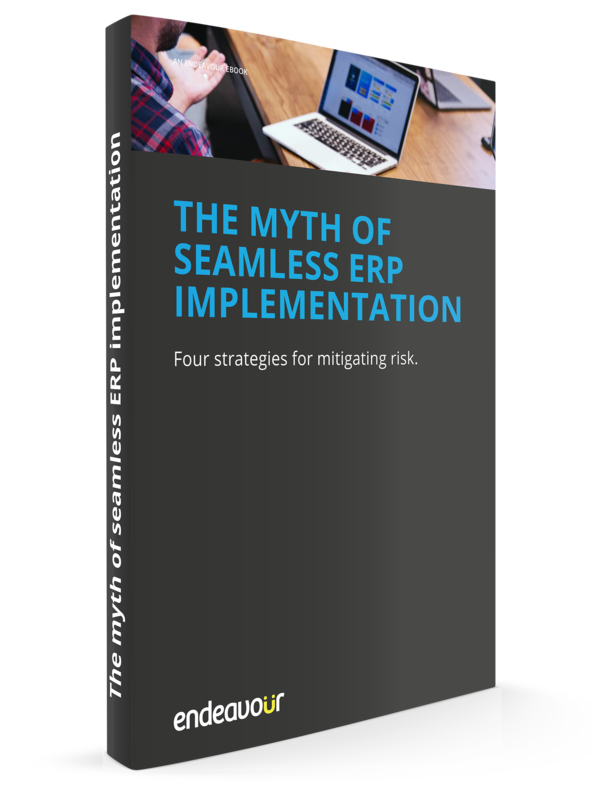 It’s important to not only proactively identify and mitigate risks, but to remember that ERP implementation is going to cause disruption to your business. However, the benefits an ERP solution will provide your business can be achieved without these disruptions being significant or even necessary. Everyone needs to be on-board from day one. You’ll be making contributions at each stage of the project. Your software partner is not a contractor who’ll sweep in, get everything up and running, and sweep out again. A really successful ERP implementation project involves people from all areas of your business. All your employees need to be open to the big change ERP system implementation involves, and culturally ready for it. It’s essential to address the human change involved as well as the system change. Not all ERP solutions are created equal. It’s essential to do your due diligence, so that you select not only the right solution, but the right partner to help you implement it.